It was 8 weeks ago that my wife and I signed up for "The Biggest Loser" through the ROC Social Club and at the time I was doing it to make her happy. I knew I needed to lose a few pounds but it was something that I figured would just happen for me as it always has. Then I weighed myself and the real world hit me, I was 187 pounds and the come back of "round is a shape" came out of my mouth. It was time to do something. 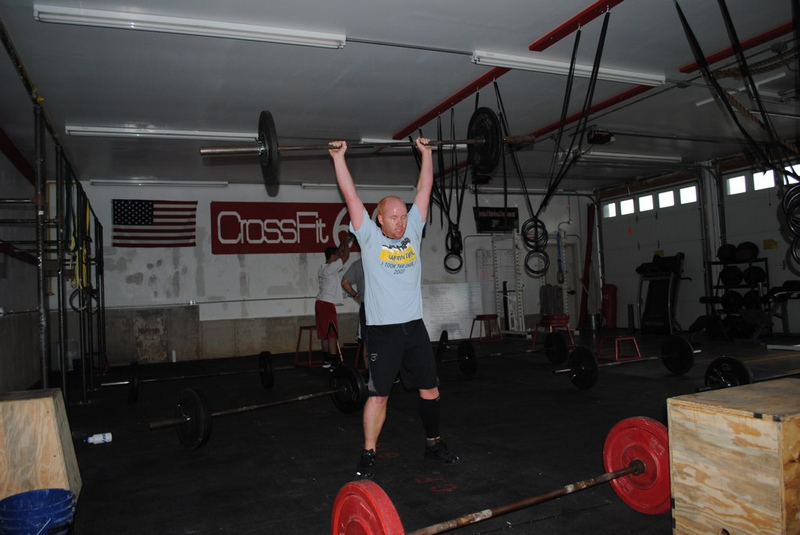 CrossFit 610 hosted the first weigh-in and I saw what CrossFit was for the first time. I was psyched to start but I've never been able to keep a workout routine for more than a few weeks before getting bored and quitting the gym. CrossFit changed that. I vomited the first workout...and I've never been so hooked on a workout that was so painful. 8 weeks later and I was "The Biggest Loser". My final weight was 165 pounds, an 11.65% weight loss! There were people who lost weight by just dieting, but I lost weight AND was MUCH stronger. 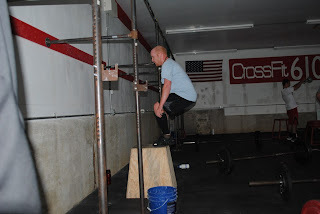 I was not able to do a single pull up at the start of the 8 weeks and by the end I could do 12 straight. It was a total transformation. The paleo diet is based on non-processed foods that were available pre-agricultural revolution (more than 10,000 years ago). Lean meats, berries, vegetables and "good" fats such as cashews and almonds were the base of the diet. I'd be lying if I said I never cheated...in fact I cheated a lot but kept with the workouts and minimized the cheats so they were "small cheats". 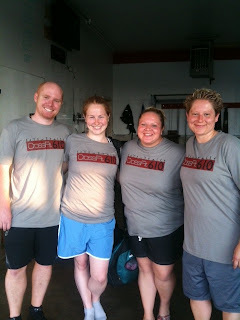 My wife also lost more than 13 pounds but we came in second for the competition to another team that also did CrossFit. 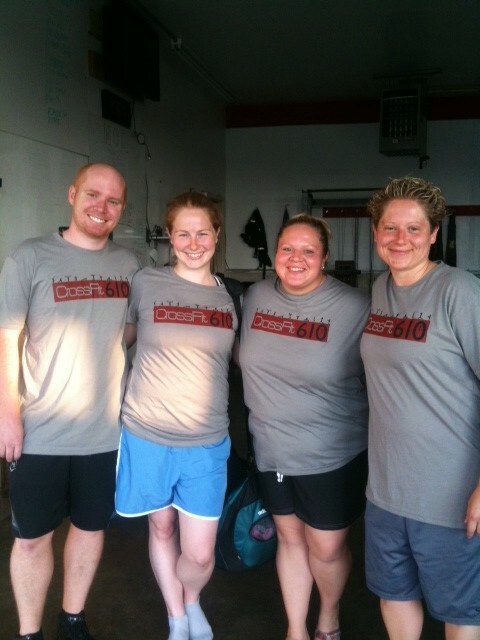 That's right, CrossFit 610 trained the top 2 teams of the biggest loser challenge in the Lehigh Valley. Adjustments needed to be made from the day 1 measurement debacle and they worked out really well. Instead of 16 ounces of lettuce, I switched to 1/4 a head of lettuce which is much more manageable. The meals went well today but I still need to work on my snacking as it is tough to get all the necessary components (fat, carb, protein) into the snack. I am giving myself 13 points for the day. I am not counting the extra point for 5 meals because one was only a shake. 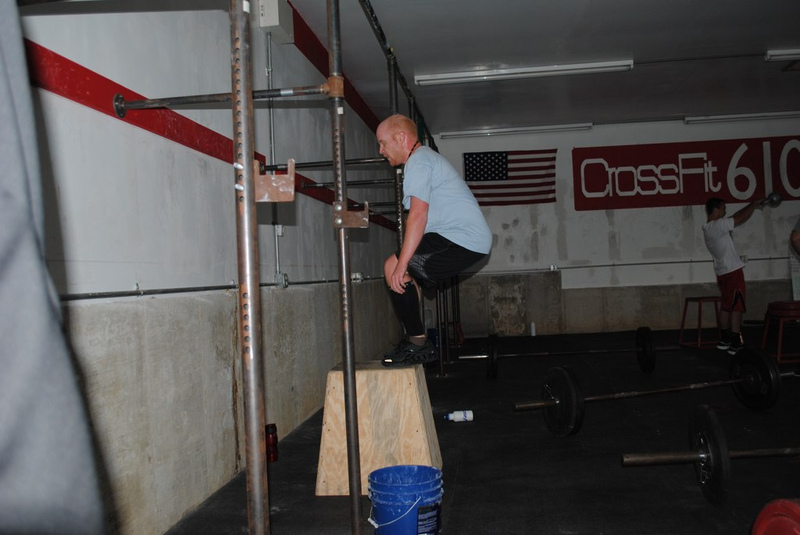 Is anyone else out there doing CrossFit? And if not, let me know and maybe you can come in and see or try what it's all about.